Information your business needs to make critical decisions resides in executed contracts. But you have no easy way to access this information when you need it most. Finding important information within hundreds or sometimes thousands of contracts over and over again requires a resource-intensive, manual search, abstraction and migration process that is often very expensive and time consuming. Often, even the most sophisticated contract management systems are incomplete or have erroneous legacy contract information and rarely track all the important provisions across all your contracts. 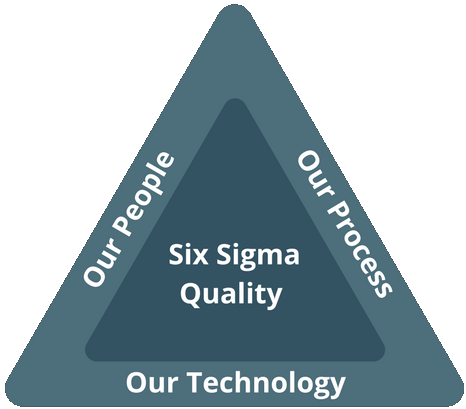 And using a team of lawyers and additional automation for quality control, we deliver this index at up to Six Sigma standards – that’s an astonishing 99.99966% accuracy. This highly accurate metadata from hundreds or thousands of contracts can be searched, analyzed, or uploaded to virtually any enterprise ERP system such as SAP, or contract management systems like Icertis, Exari, Symfact, Apttus and Emptoris. Brightleaf eliminates the need for your lawyers or expensive outside firms to spend large amounts of time pouring through all your contracts to find, cut, copy and paste key provisions. With Brightleaf, in-house lawyers, business executives, contract managers, and procurement professionals can instantly get the information they need. Compliance – Knowing your obligations is the first step towards fulfilling them. Risk Management – Eliminates the need to deploy teams of lawyers to get the information you need to respond to regulatory changes, lawsuits, and new business initiatives. Acquisitions – Identifies assignability and the resulting obligations that come with thousands of inherited contracts, to ensure compliance across your company. Strategic Business Intelligence – Provides a global view of all your contracts and puts real-time business intelligence at your fingertips. Revenue Recognition – Find hidden and unidentified revenues from your legacy contracts. Keep your ERP or contract management system up-to-date. Ensure compliance with existing contracts. Avoid penalties and find missing revenue. Gain strategic insights over all legal obligations, risks and opportunities. Save time and money hiring expensive abstraction firms.